Raita is one of the most popular side dish of every Indian family. Quick and easy to make with yogurt and your choice of spics by adding any fruit or vegetable. Serve with Rice, Biryani or Paratha. This is a low calorie dish that can be taken as a salad or can be had as a condiment for any fried rice or chinese main course. I referred to this recipe in an article long back and wanted to try this for long and it turned out well. Make this low calorie dish in minutes following the recipe. Hi friends Have you ever tried cucumber for rice preparation?? Well many of you would get doubt of how to prepare rice with this watery vegetable ??? Follow the below procedure to make this simple and delicious rice for this summer. Aloo Mutter Gobi, a great combination of delicious vegetables which is almost everyone's favorite. Prepare this for a lunch and serve it with hot Roti or Paratha. This silky, buttery recipe is also known as Saag Aloo, with which i added masore dhal to enhance flavour. This popular Indian vegetarian dish can be made with spinach or mustard leaves. If the fresh spinach is unavailable use the frozen spinach, defrosting it before you add for dish. When ever we think of Pickle first thing comes in our mind is lots of oil and spices. This recipe is a exception in this category as Mango Dry Fruit Murraba is raw mango pickle preserved in sugar syrup. Selected and well blended dry fruits and spices gives it rich aroma. Kids will just love it with bread or paratha. Wash, peel and chop the mango. Boil mango cubes in a open boiling water for 5 minutes until tender. Drain water and allow it to cool. Keep mango cubes and mango stock separately. In a pan combine mango stock, sugar and 1 cup of water and cook until sugar dissolve stirring occasionally. Turn the gas flame in slow and add cashew, raisins, cinnamon, cloves and mango cubes. Cook it until sugar syrup is of two string consistency. Stir occasionally else mango will stick to pan. Remove from fire and add cardamom and saffron. Cool it completely. Once cool down completely store it in sterilized bottle. It can be stored in refrigerator up to 6 months. Aam Ka Panna is raw mango drink and perfect for summer as it has heat resistance properties. Prepare this tangy delicious cooler in summer noon to beat the intense heat. 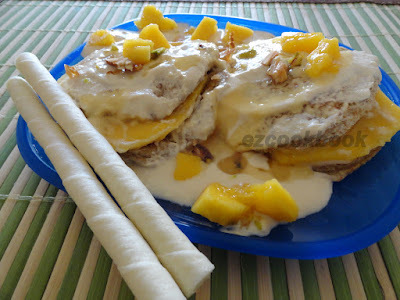 Fresh mango inside toast along with cream and honey , doesn't it sounds great?? Relish your taste bud with this scrumptious delight. This can be served as dessert, best to have chilled. This is very simple and quick to prepare dish. Summer is incomplete, without mangoes. Mango milkshake, this name would definitely make you mouth water. Not only children everyone would like to have this more than one glass. Make this mouth watering milkshake easily following these steps and have a refreshing mangomania. "Lassi" a yogurt drink is a traditional drink of North India and worldwide famous. 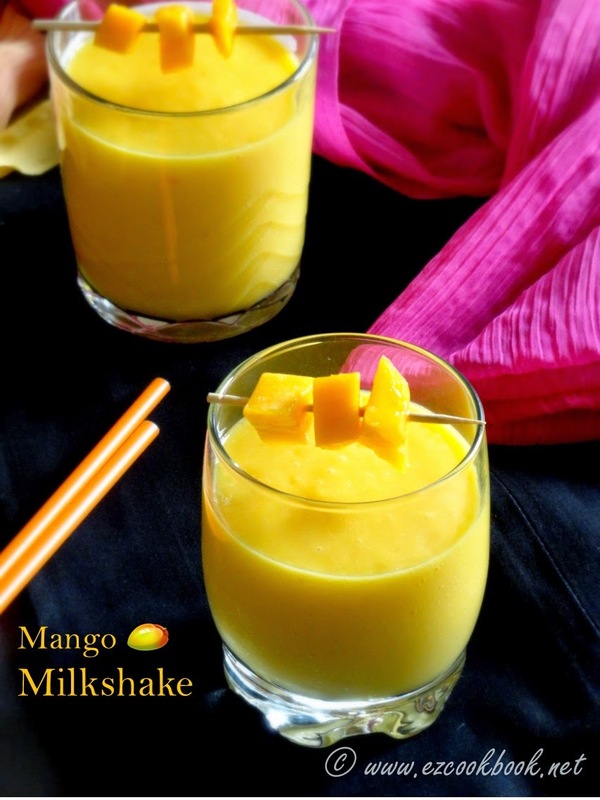 Mango Lassi is one of the rich variation of very delicious Lassi. Yougurt and Mango both are very good for cooling the heat so a perfect drink for summer. taste for your food sense. Tickle your taste bud with this yummy raw mango rice and make your meal complete with mango for this summer. Do you know the benefits of raw mango and why summer is the only season for it to crop??? Eating raw mango will help us guard from negative affects of excessive hot temperature during summer. Have a small bite of raw mango with salt sprinkled, this will really quench your thirst. Mango Sago Pudding is perfect to beat this summer and welcome the Mango season. 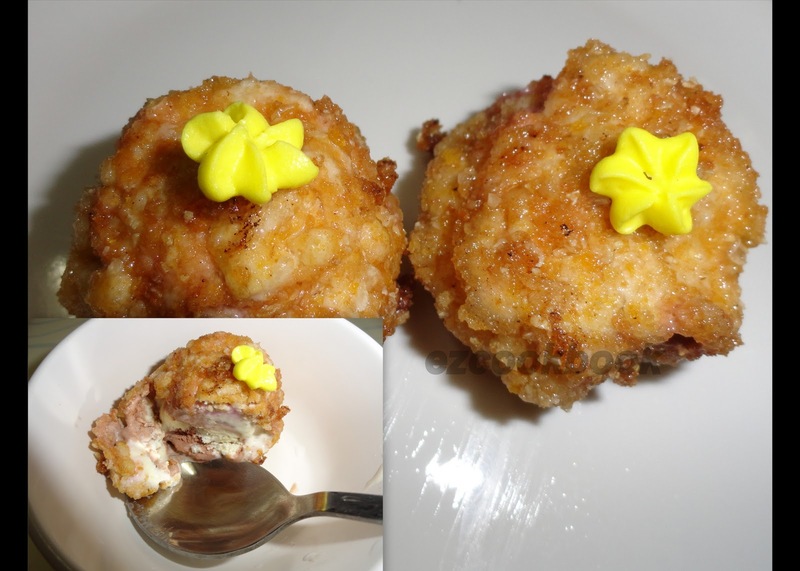 Its very quick and easy to make with yummy and delicious taste. Tindora also known as Ivy gourd, gentleman's toe, tondli etc. and very popular in many parts of India. It can be cooked as it by itself or can be combined with potato. 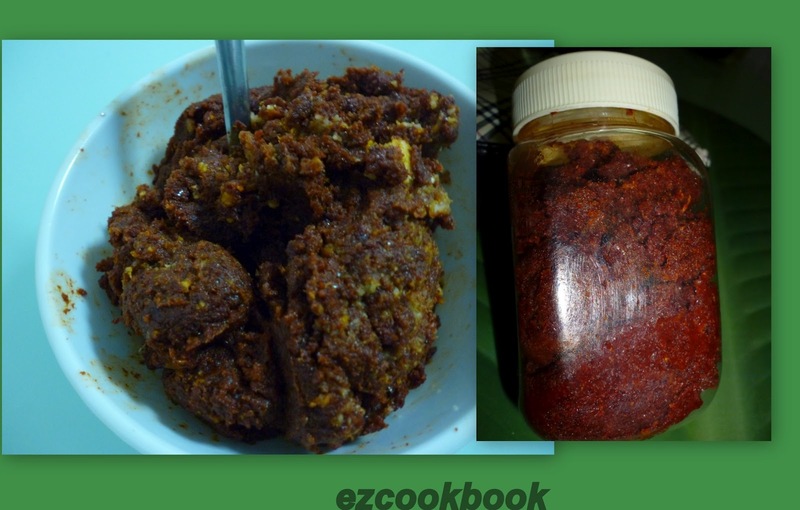 Prepare this tasty subji for lunch and serve with roti/chapati. Dhokla with a little twist, new flavor and shape will delight your kids. Either it is breakfast or evening snacks for your kids; this is a perfect option. You can simply pack in their lunch box, it will make them full. Try this recipe and send us feedback. Whole Green Gram Dosa is popularly known as Pesurattu in AndhraPradesh (southern part of india). Pesar means Green Gram and Attu means Dosa, the combination of pesarattu with rava umpa and ginger chutney is a signature breakfast to Andhra Cuisine. 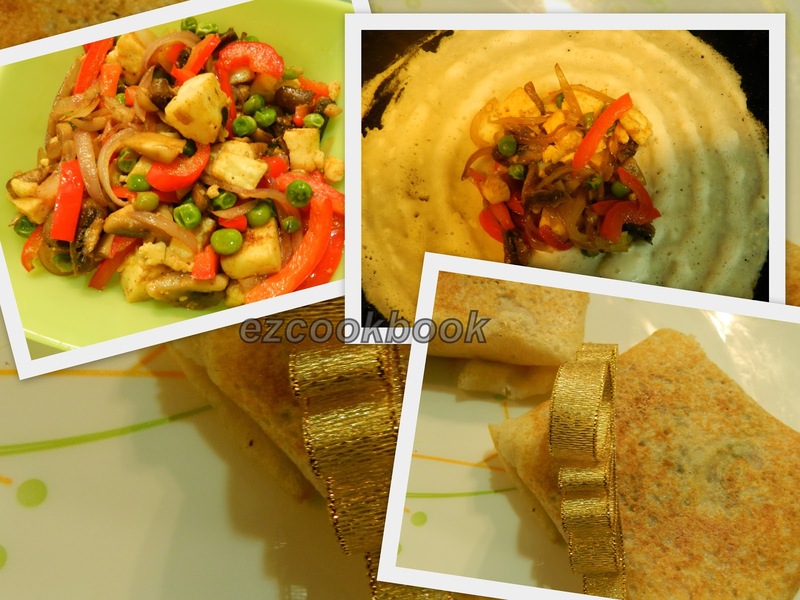 This green dosa is very healthy and filling food, perfect breakfast recipe. Try for your kids and send us feedback. Paneer butter masala is an all time favorite for people of all ages. The creamy texture melts in our mouth with rotis and paratas. Make this yummy dish and serve your family. Cakes are all time favorite for everyone. But when it comes to cook at home, it needs expertize, dedicated time and lot of efforts. 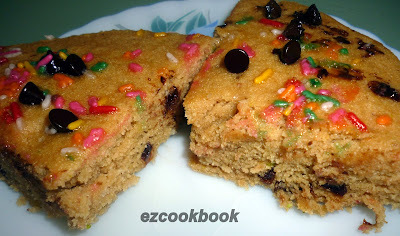 This Rice Flour cake is very easy and quick to prepare at home when you are craving for it. Bored of making same kind of chutney always, try this kotthamalli vidhai chutney or coriander seeds chutney and you can also store it for about 2 weeks in the refrigerator. This goes well with any South Indian tiffin. Are you worried that your kid is not taking vegetables, make this Dosa packs packed with nutrition and see how they gulp in all the nutrition needed. You can also add other vegetables or chicken or fish or mutton and make it the way you want. It is also very easy to make. Eating a bowl of Oats each morning is a perfect breakfast to start a healthy day. To say in simple "Oats close to Heart" and Oats can be taken is many forms rather than a bowl of porridge. Here i tried Oats in making Idli and is prepared instantly without need of further fermentation. It took very less time for me to prepare this healthy dish and satisfied my family with healthy eating. Try this version of Idli and send us comment. Broccoli is a king of low carb vegetables and contains almost all required nutrition like iron, calcium, all types of vitamins, foliate and fiber. But many people dont like its taste and avoid eating it. Try this minty broccoli paratha in which mint helps to balance the overall taste. You may also like to add cheese or paneer to pamper your taste buds. Taro root is boiled and dipped in spice batter, it is then roasted. This recipe is very simple and quickly prepared for lunch as accompaniments. Try this yummy fry and send feedback. Vegetables kofta curry is my favourite dish which goes well with briyani, pulao, naan,roti.... Here i prepared this curry with little variation and tastes awesome. My daughter who is great lover of snacks munch this kofta balls before preparing gravy. Sushi is a authentic dish of Japan and very popular worldwide. Its a wrong impression in many people that sushi means raw fish, in real sushi indicates dishes which use sushi rice seasoned with sushi vinegar. You can make variety of sushi filled with any vegetables or your choice of sea food. Try this vegetarian version of sushi rolls by following below steps. Woke up late in the morning and don't have time to prepare breakfast, make this Paneer sandwich within 15 minutes of time and serve your family. Paneer sandwich can be prepared either for breakfast or evening snack. Kids will love to have this sandwich for lunch box. Since it has paneer it will be filling for lunch also. Pooris are always an all time favorite food among kids, make this poori with little variation by adding spinach and surprise your kids with this colorful poori for their meal. Every time we use to make chutney using so many ingredients like coconut, dhalia, mint, dates and so on. Have you ever tried with fresh grapes?? if not try this recipe of grapes chutney. Have you ever tried making upma with puffed rice?? if not try this quick version of umpa, when you really don't feel hungry but want to eat some food to relish your tastes. This can help you to cook in a jiffy when guest arrives home without prior information and delight them. Raita is one of the most popular side dish of every Indian family. Quick and easy to make with yogurt by adding any fruit or vegetable. This is one of the most common variation of simple boondi raita. A thurst quencher mock-tail made from fresh apple juice, grape juice and soda. Apple Grape Punch is healthier and tasty when it is fresh. It can help to prevent arteries from clogging. Try this drink in a hot afternoon to quench your thurst. Ice cubes - 4 nos. Blend the grapes and apples in juicer/blender. add little water if required. Strain the juice and add sugar, lemon juice and chat masala. mix well. Add juice in serving glass and add ice cubes and pour over soda/sprite in it. Cool Apple Grape Punch is ready to serve. NOTE:Use cold water if you want to avoid soda/sprite. This authentic thai green curry paste works well with any main ingredients like vegetables and all kind of meats. In Thailand they use to prepare this paste using Mortar N Pestle by adding ingredients step by step to prepare good tasty paste for Thai Green Curry Recipe. An authentic recipe from Thai Cuisine. It is well known as Gaeng Kiaw Wan means Thai Green Curry, but if you add more amount of green chilli in Thai Green Curry Paste then it would be more spicy . This is a heavenly curry which i love to do for lunch during weekend along with steamed Thai fragrant rice and enjoy the awesome taste with my family. The recipe is so simple and try to make this exotic dish to serve your family with Thai taste at home. 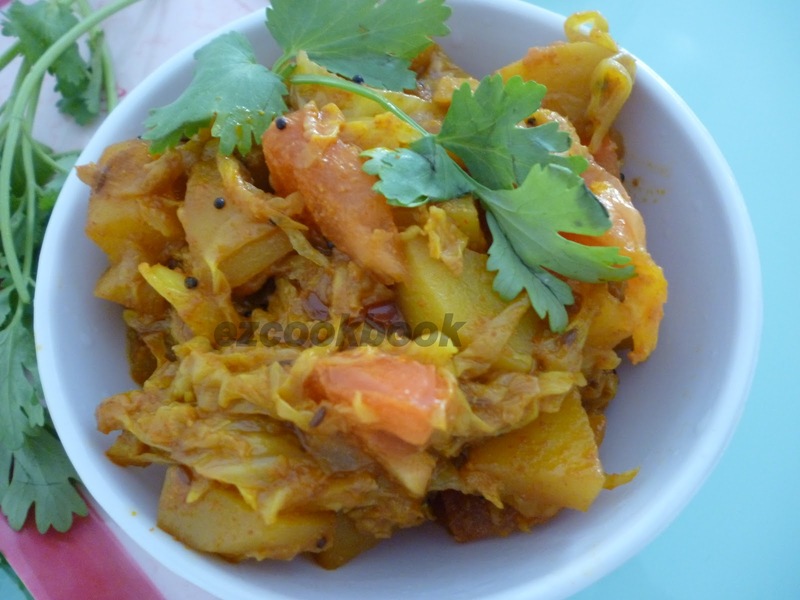 Cabbage potato curry is a regular dish prepared in almost all the Indian kitchen with different style and different variation. Here I am sharing my mom's style to cook this recipe. Try this simple recipe and taste different. Paruppu Vadai, one of the famous south Indian Style lentil fritters. This is usually made during festival season with exclusion of onions to offer God. Though it is a deep fried food, a high protein rich vada perfect to much with a cuppa. An instant treat for an unexpected guests and for large gathering. The leftover vada can be used to make some delicious Vada curry, Vadai Mor Kulambu, Vadai Kara Kulambu. 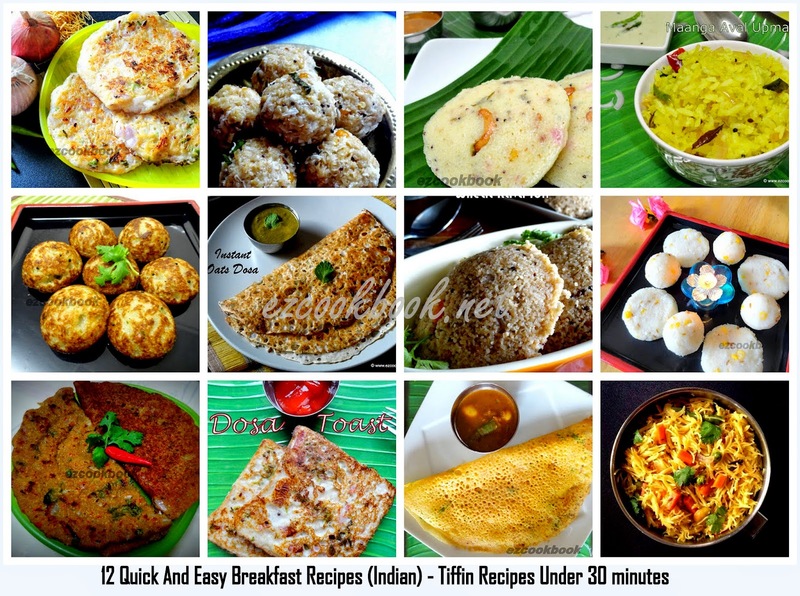 Do you got boredom with preparing the same old plain idli. Try this new version of idli will be colorful and filling too. This Stuffed Masala Idli will be an ideal breakfast especially for kids whom we are targeting to feed with nutrition rich food. Do you want to prepare a snack in a jiffy to serve your family while watching a movie? Make this maida pakoda easily under 30 minutes. It can be served along with cuppa for guests too. A tasty snack to relish almost at any time. Almost every day we make salad at our home but we end up using either ready made salad dressing or squeezing lemon on it. This creamy salad dressing will enhance a unique and different taste to your daily salad. Try this quick, easy and different Creamy Green Salad. Nookal /Gaanth Gobhi/Knol Khol/Italian Turnip - I don't think so most of the people using this vegetable in their food habit. 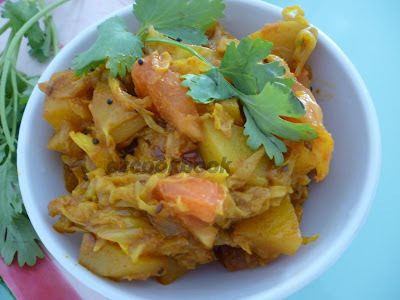 Just to give you all a gentle reminder about this veggie i posted nookal recipe today. Though being a starchy root vegetable, it is rich in Vitamin C and anti-oxidants. Highly helpful for people who are in diet to reduce obesity because of low calories. The leaves are also edible and eaten as greens for salad and will be posting recipes of that soon. Brinjals are one of the vegetables which most people don't like to eat, but they are rich in fiber. Researchers have found this can treat high blood pressure. Make this brinjal 65 to make brinjals more tastier. Ginger Chutney serves as a good accompaniment for all Indian breakfast and sometimes goes well with hot steamed rice. Ginger has got an excellent medicinal properties in it. Its is good for digestion, boost the immune system, relief for migraine, good remedy for cold and flu and so on. Include ginger in your everyday cooking in any form to get its benefit. Here comes with an another interesting recipe with leftover upma. We use to cook Rava Upma for breakfast but if it is excess left what to do?? I have an idea which I tried on my own and thought of sharing with you. Its so simple and quick. One dish helps to invent new recipe from it and sounds good. Try this delicious crispy soft roti and send us feedback. Arrabiata Pasta is one of the most famous and favorite national dish of beautiful land of Italy. Spicy and tangy basil tomato sauce "Arrabiata Sauce" is served with any type and shape of Pasta with choice of vegetables. Arrabiata means "angry" in Italian language. Try this "Angry Pasta" to please your family members. Finely selected vegetables are sauted with Indian Pav Bhaji Masala to make delicious bhaji, that serves best with pav/bun. Pav Bhaji is simply "heaven on a plate" as it is a hurried meal for a man in street specially in Bombay. When I am lazy to cook on a entire meal for my family, pav bhaji is one of the first in few dishes which comes to mind as it is easy to cook and filling as well. If you are also a fan of Pav Bhaji try this recipe. Fried ice Cream Do you find it sounds something contradiction in terms - how the melting ice cream is been fried and kept as a whole?? The answer is two secret steps to be followed. First step ice cream is well frozen. Second step is it is not fried directly but fried with crumb coated. As summer is ahead we will definitely find ways to cool our self and why say no if something cooling, mouth watering being fried and served. Ice Cream melting inside the golden crest shell and tempting to gulp it. Try this unique dessert and surprise your family and friends. Channa is a very good source of protein. Make this channa pulao for lunch box and get appreciated by your hubby and kids.